AONAMI HAS BEEN ACTIVELY TOURING ACROSS EUROPE, ASIA, AND THE US, INCLUDING APPEARANCES AT THE BLIP FESTIVAL(NYC/USA),SXSW(TEXAS/USA),FORMOZ FESTIVAL(TAIPEI/TAIWAN), P.art.y(SEOUL/KOREA),TAITUNG MUSIC FESTIVAL(TAITUNG/TAIWAN),LANDMARK/KUNSTAHALL(BERGEN/NORWAY),ITALIANS DO IT BETTER/arciblob(MILANO/ITALY),MICROBOPARTY(BOLOGNA/ITALY),MICRODISKO(STOCKHOLM/SWEDEN). AND MAINTAINS HIS OWN LABEL CALLED intikrec. Musical artist, active participant of electric music scene in China. In 2008, he Joined SHANSHUI record—-a famous Chinese record label of electric music and released his work in SHANSHUI’s collection album … . He was also in the lineup of SHANSHUI’s first nationwide tour, including seven cities. BAIFAN is a pursuer of melody, deeply influenced by Foo Fighters. 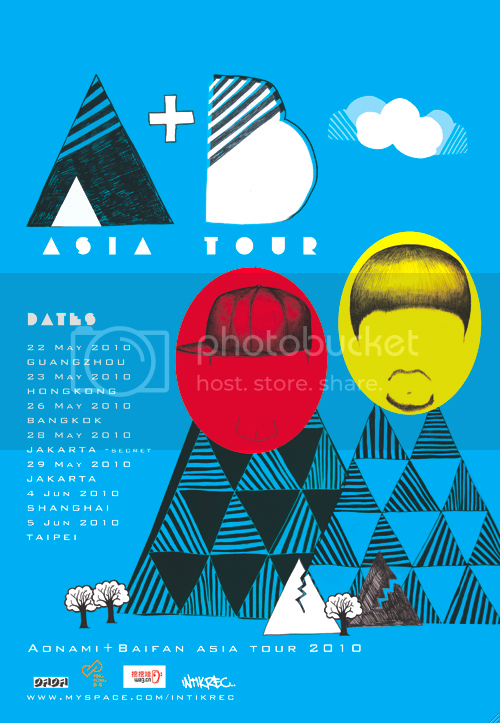 In August, 2009, BAIFAN released his debut EP … and toured six cities afterwards, brought out the sound of warmly LO - BIT to the audience. The EP had a special feature of japanese musician AONAMI’s ?70’s Literary Youth - Sunnyday mix?. Following BAIFAN’s young and sensitive melody, you will find yourself Roaming in a world of ?Natural High?